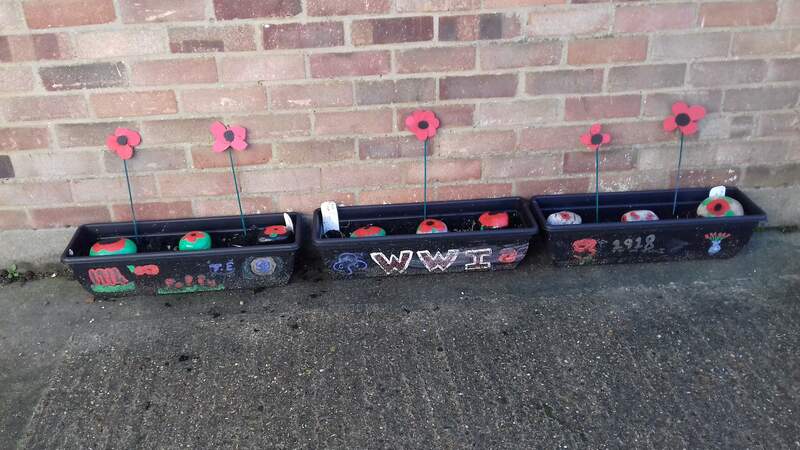 Ladies of the Church made poppies to commemorate the centenary of the end of the First World War. 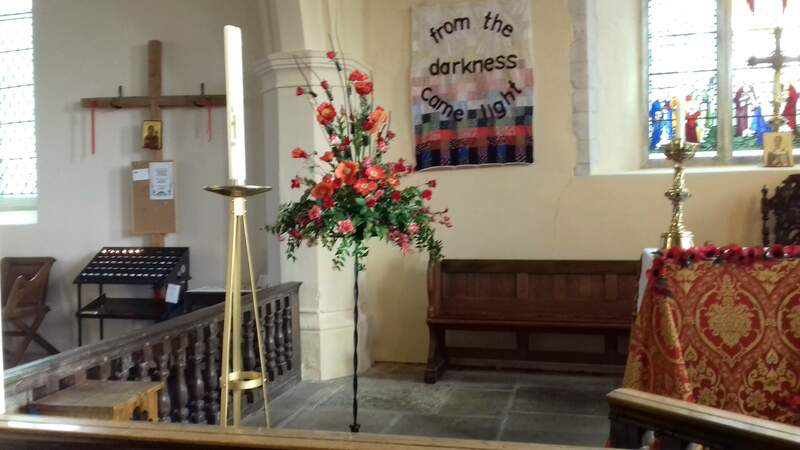 The poppies displayed outside on the South Porch were made by members of the Knit and Natter Club, while those on the Altar were made by ladies of the Mothers' Union. 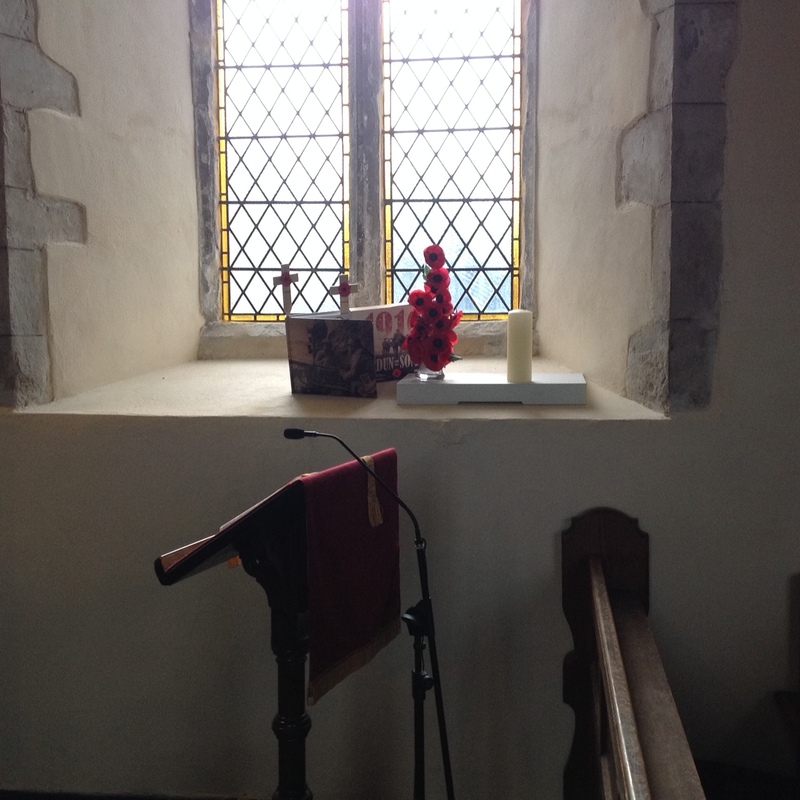 The windowsill display was by the Rev. Kim Lepley, and the troughs outside were made by the Girl Guides. 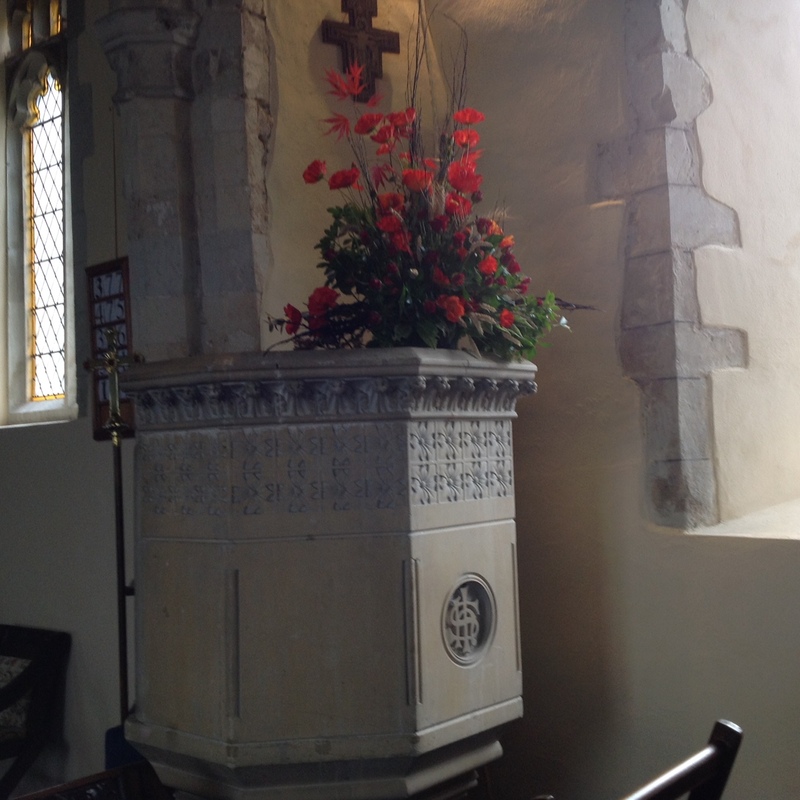 The St Nicholas Flower Ladies made the displays on the Pulpit and in the Sanctuary.